Whoever invented donuts needs a lifetime achievement award. 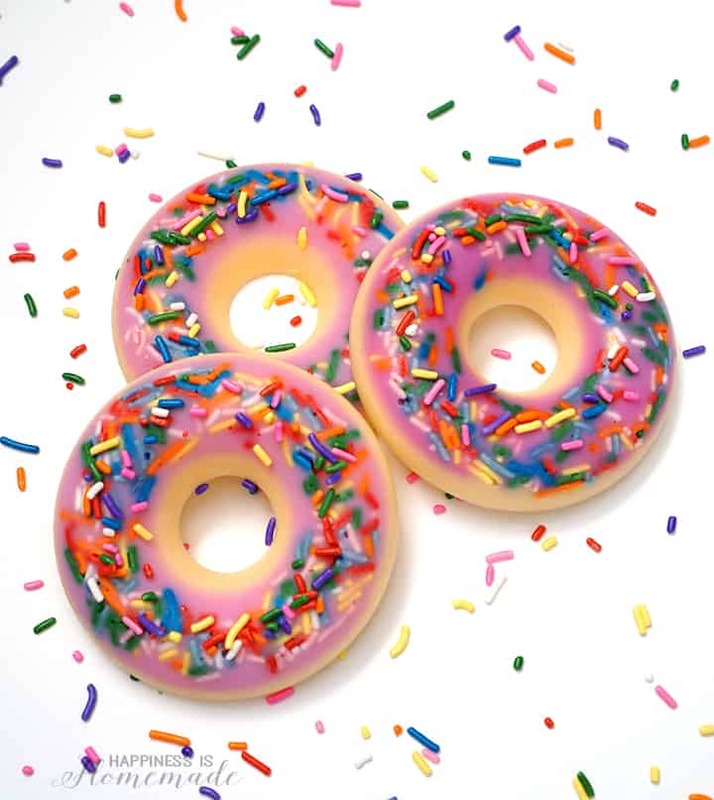 Whenever we feel down, donuts are there for us; we can’t really say the same for broccoli, can we? 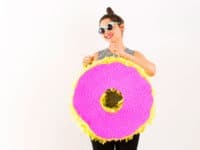 Celebrate your love for donuts by dedicating some crafty projects that pay a tribute to these delicacies! 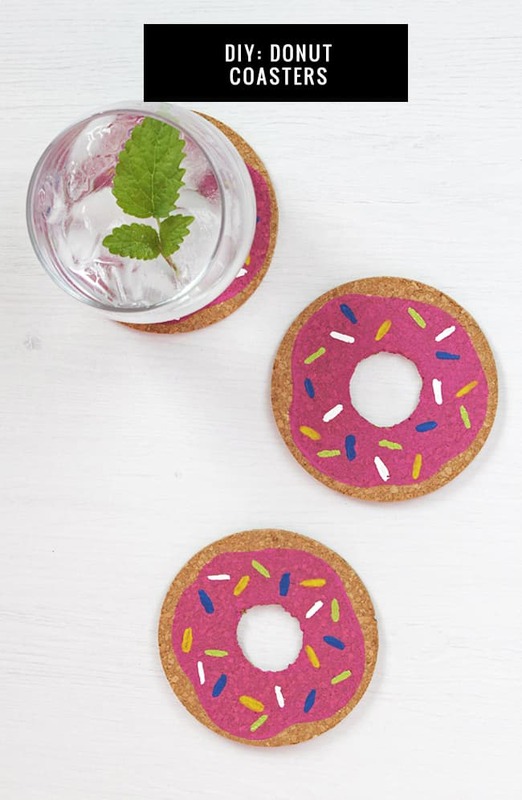 From donut pillows to donut coasters, this list has it all! 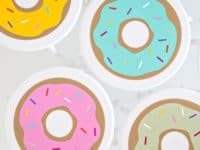 Warning: Making of these projects may cause serious donut cravings, so you may need to consult a local bakery beforehand! 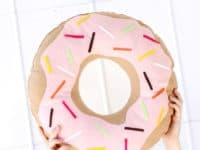 Trust us, you donut want to miss these fantabulous DIY donut crafts! 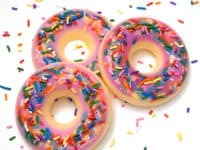 Well if we’re already dreaming about donuts during the day, we might as well keep them close during the night as well! 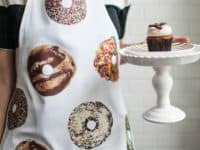 This donut pillow is too cute! 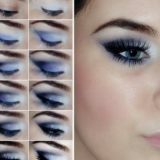 Thankfully, A Beautiful Mess has a great tutorial for it! The next time you host a party, make sure everyone talks about it for months to come! 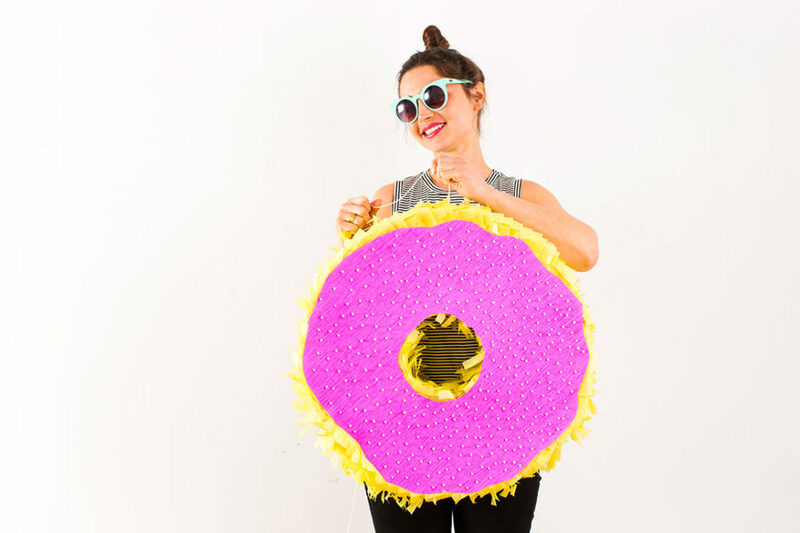 What better way to do that than with a donut piñata? 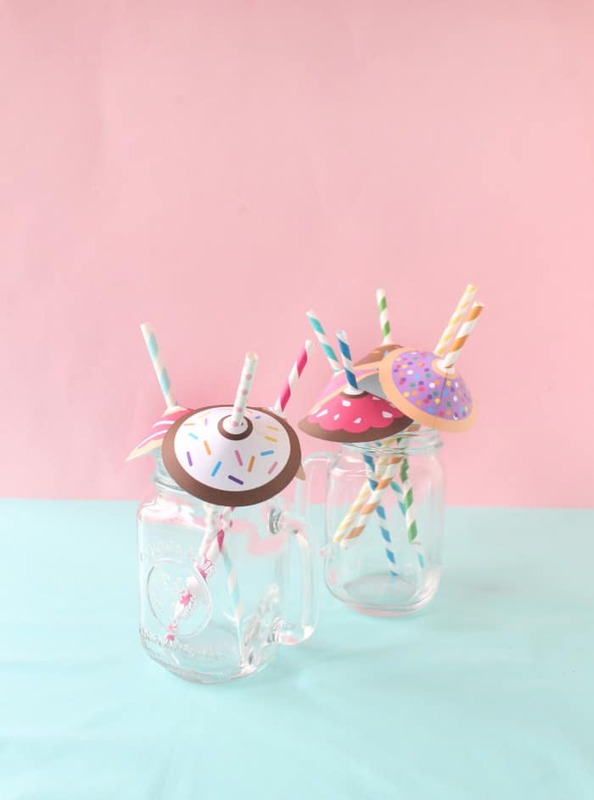 Brit + Co will help you make it, then it’s up to you to fill it with yummy candy! At this point, adding a donut bracelet to our accessory collection is long overdue! 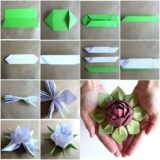 With a little help from Oh My Creative, we can make this the newest fashion trend! Quick, somebody get Karl Lagerfeld on the phone! 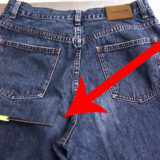 You’re going to want to sit down for this one; literally! 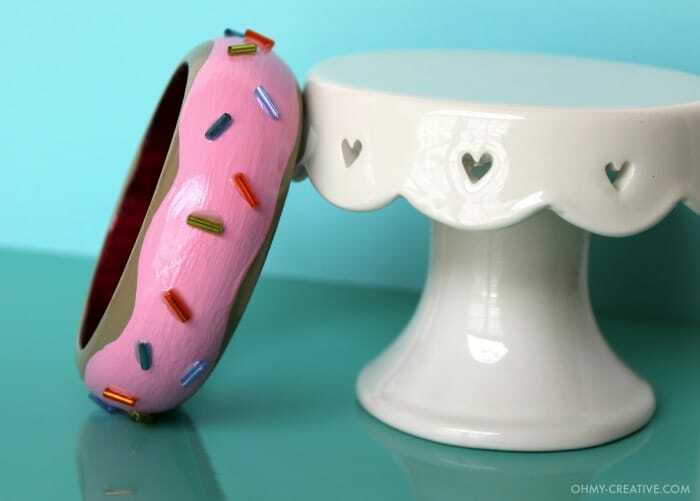 Studio DIY has the tutorial for the most adorable donut stools you’re ever seen. What a time to be alive! 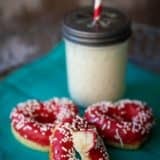 Ditch the regular soap bars and make these funky donut ones instead! 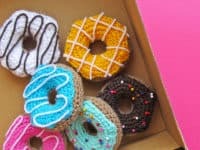 They can also be a great gift, if you want to surprise your fellow donut lovers! 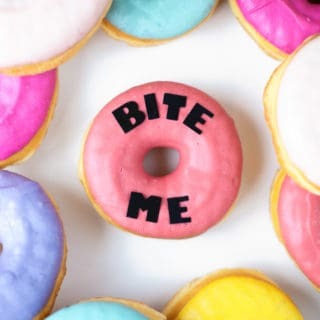 You can find the details at Happiness Is Home Made, but we should warn you that this soap doesn’t wash the donut love away! 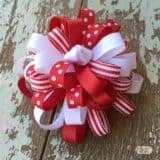 Here’s another item to spice up your jewelry collection! 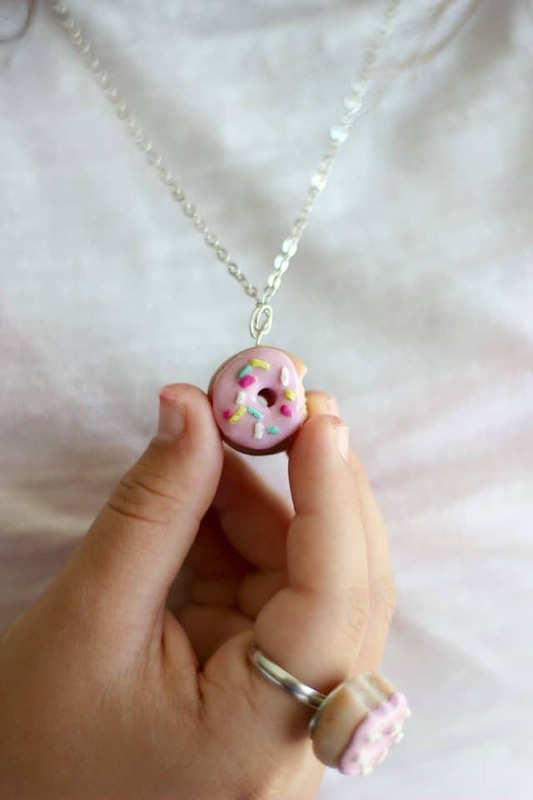 It’s so tiny you can always wear it, like a lucky charm! 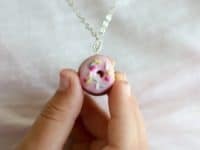 Or in this case, a donut charm! 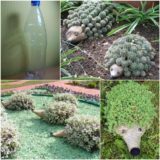 Hop over to eHow for the details! 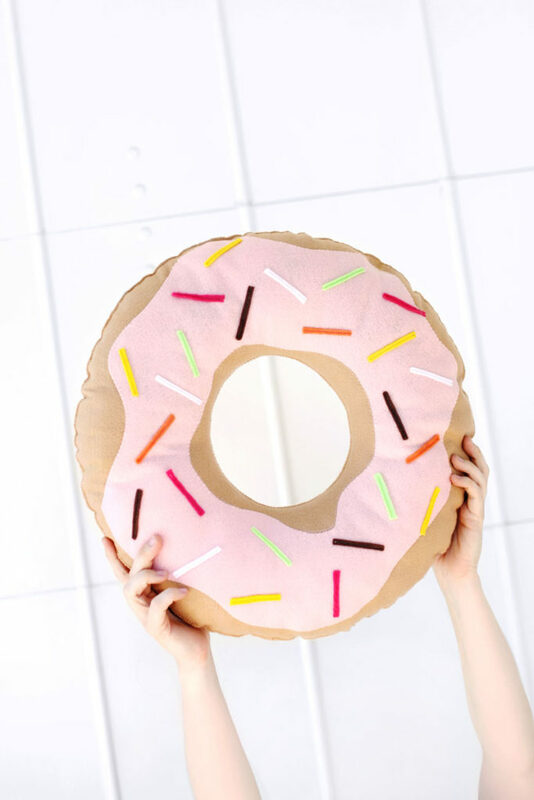 How about some donut home décor? 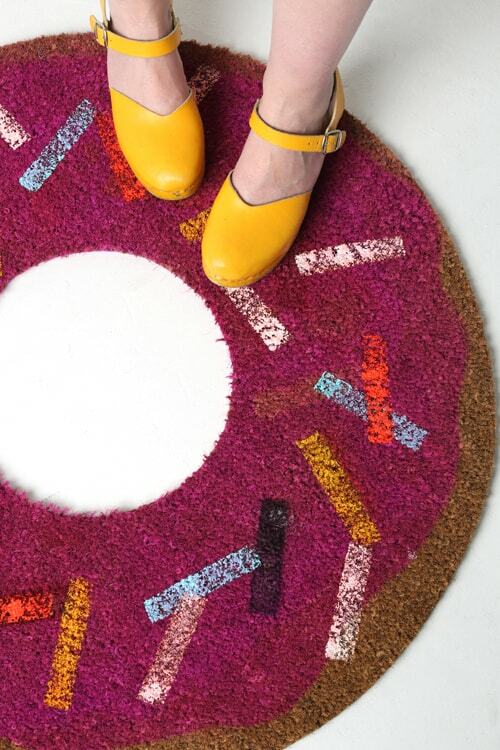 You can start with this donut rug by The House That Lars Built. It’s funky, unique and a total attention grabber! 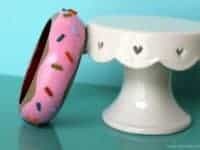 Plus, it will always serve as a reminder to buy donuts! 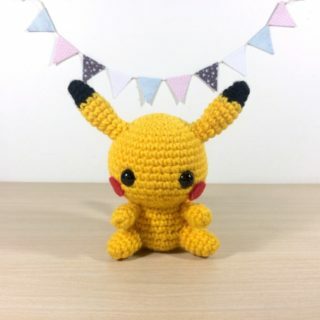 Round up, crochet enthusiasts! 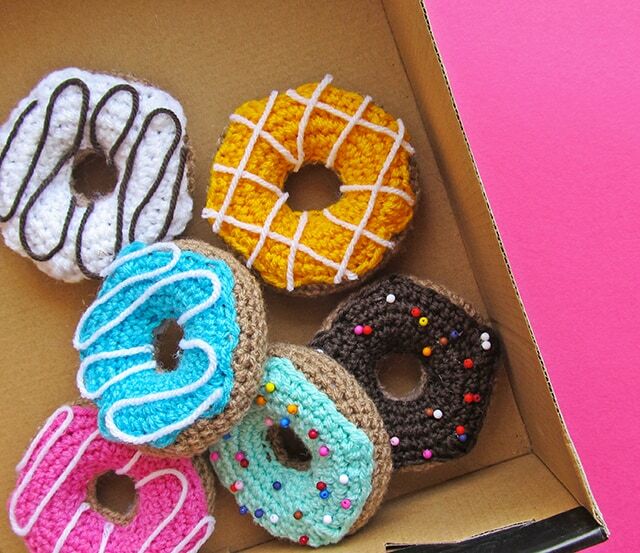 Now you can crochet your very own little donuts! 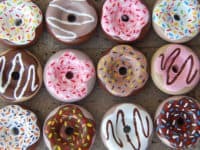 There are so many options for how you decide to do the icing, you can really dream up your favorite donuts! Little Things Blogged will help you with every step! 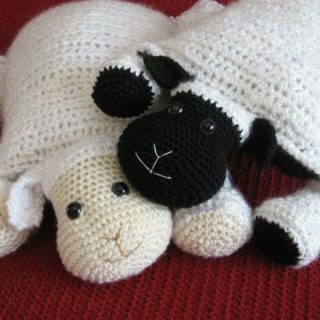 If crocheting is not your domain you can try these wooden ones that look spookily realistic! 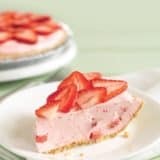 It’s a perfect craft to involve your kids in, especially if they’ll be the ones running the pretend-bakery afterwards! See the making-of process at Ikatbag! 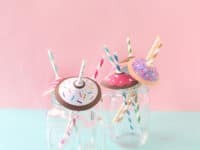 Whether you’re planning to host a cocktail party or just want to chill by the pool with your friends, these donut straw umbrellas are exactly what you need to be the best host in the world! 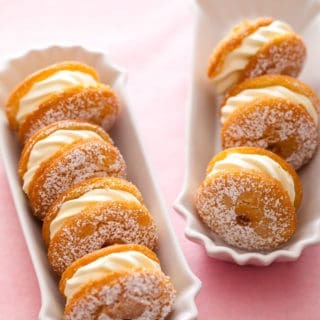 (Make sure you offer the guests some actual donuts, too!). 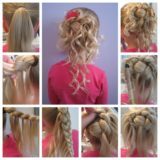 A Joyful Riot shares the tutorial! 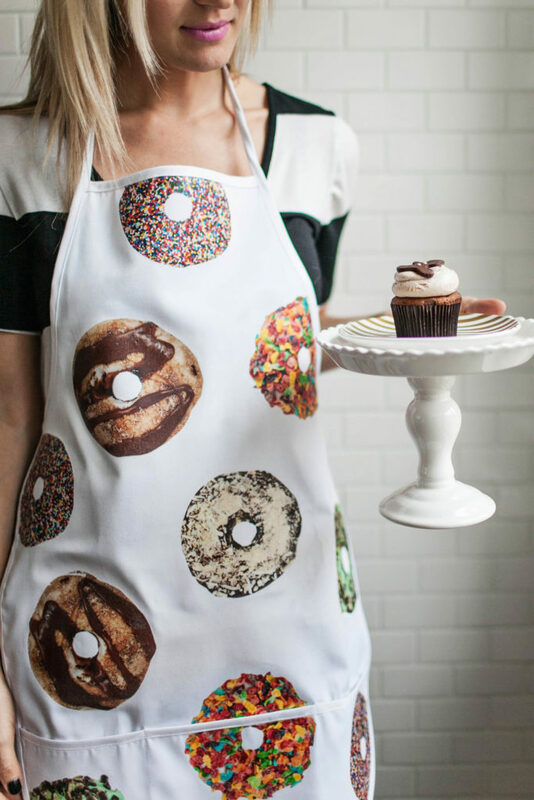 It is only fitting that you wear a donut apron while you’re baking – especially if you’re baking some delicious donuts! 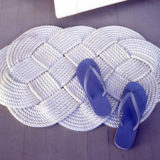 It looks so cool you’ll actually be afraid to get it dirty! Find the inspiration at The Beautiful Mess! 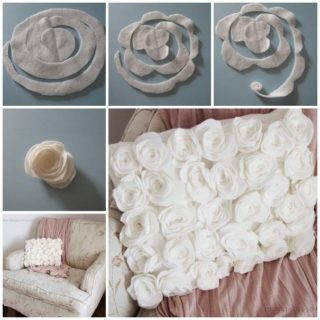 No one likes boring coasters! 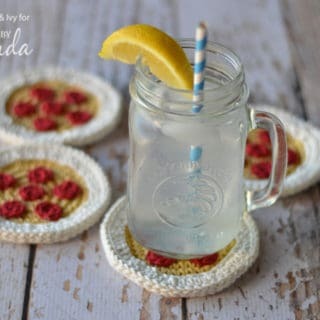 Finding stylish coasters can be a challenge, so why not just make them yourself? 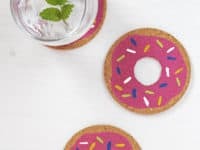 A great place to start is checking out Hello Glow and falling in love with these donut coasters. 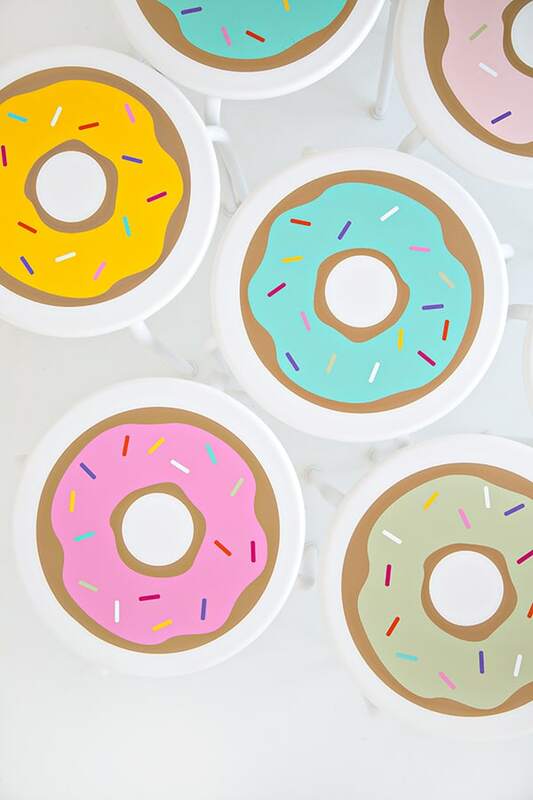 Luckily, donuts pair well with every beverage! 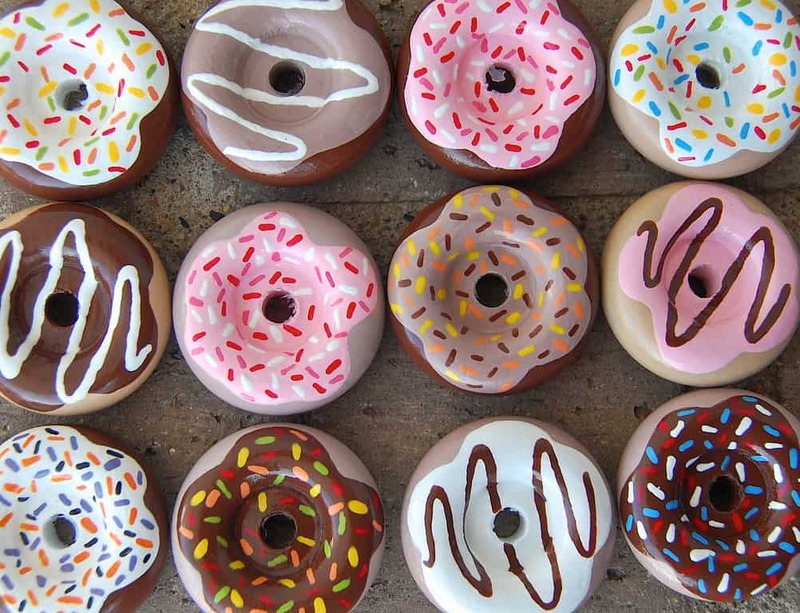 Okay, let’s go get some donuts now, to satisfy the craving and get ready for some crafting!